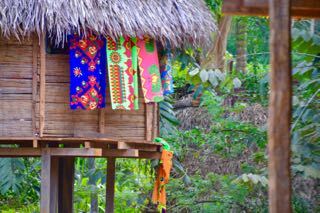 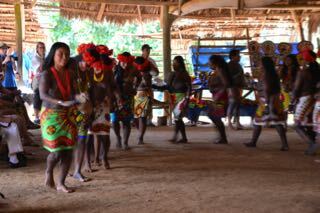 At 7.15 am in the morning we left Shelter Bay Marina for a whole day excursion to the Indian Village of the Embera. 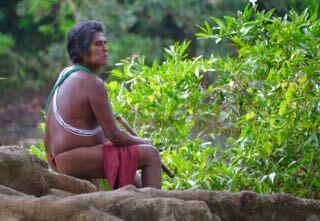 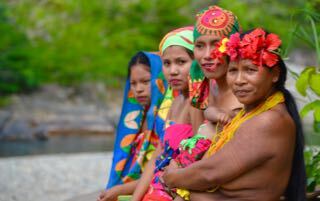 In Panama there are 6 Indian tribes out of 9 still living the old traditional Indian style. 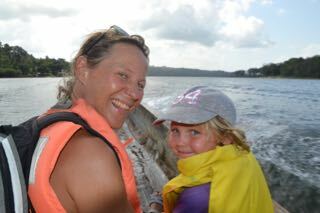 Why we left so early was to be sure not to be stuck by a ship passing the Gatun Lock. 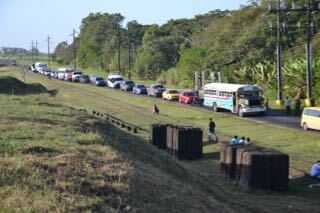 However we did get stuck… In most countries you queue for a bridge opening, in Panama you queue for a lock opening which can take easily an hour for the ship to pass. 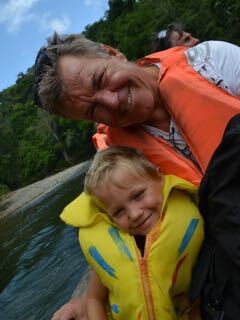 Lyckily Daz, a South African guy on the boat “Waterman”, had his iPad with him with the game Chess! 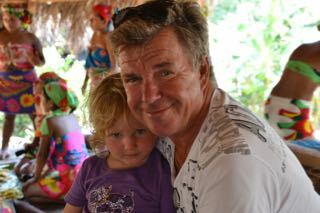 Unfortunately for Daz, he became very popular only due to…. 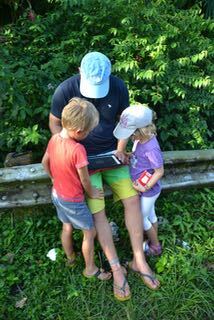 so now he is Mr. iPad according to the kids. 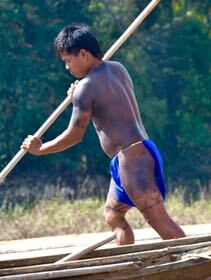 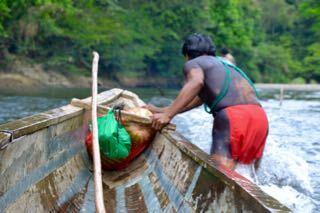 After 3hrs of driving into the jungle, the Embera Indians welcomed us on their boats to do the rest of the trip on water to be able to reach their village. 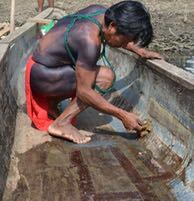 Just before departing our Embera Indian chauffeur discovered a leak in the boat. 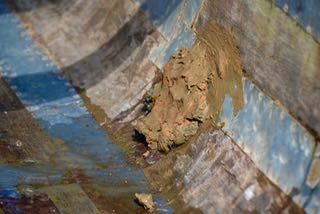 Totally cool he took a pile of mud and just stuck it on the whole. 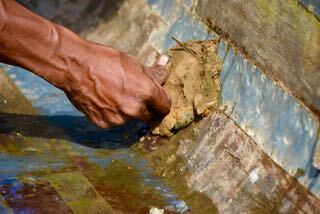 That solved it! 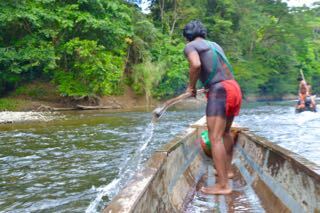 Once we hade passed the lake we started to work the boat upwards the river which showed to have a very strong current. 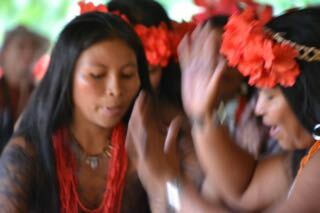 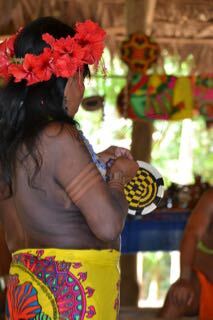 Upon the Embera village we were welcomed first by the woman and then Fernando, the village’s musician. 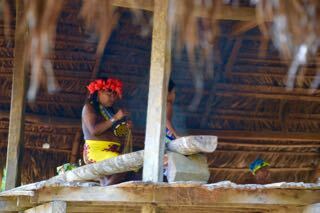 We were then showed to sit in the village’s town hall and be welcomed by the village’s chief Entro who told us about the history and the traditions of the Embera Indians. 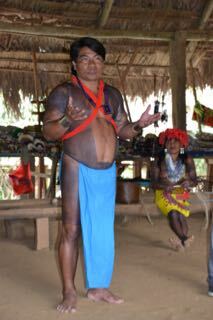 He started with the Embera language and then went over to Spanish. 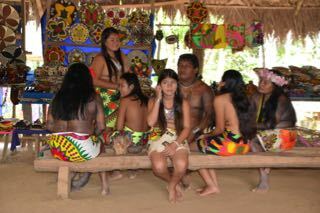 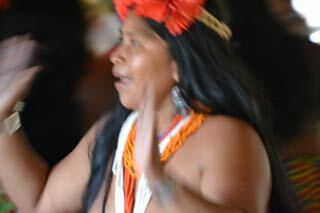 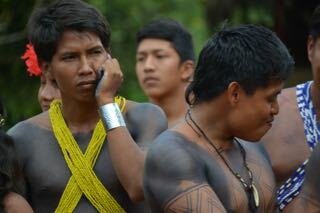 The Embera Indians lived formerly in Colombia, but due to the drug dealers taking power in the jungle they had to move. 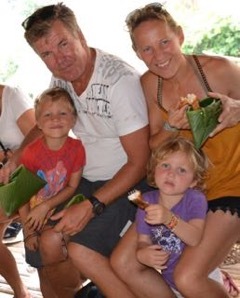 So they chose to move further North and found the spot where they live now. 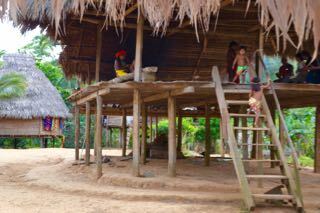 The Village has 30 houses with one family in each house and 141 inhabitants in total. 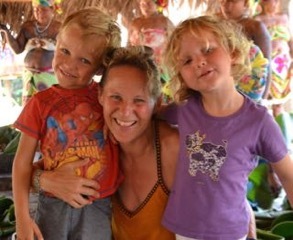 Just a week ago they were 140 ;-). 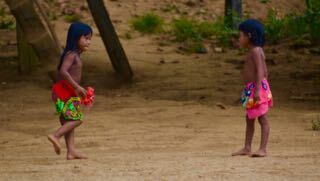 The Embera Indians have chosen to continue to live the way their ancestors lived and realised that this could be the way to earn a living. 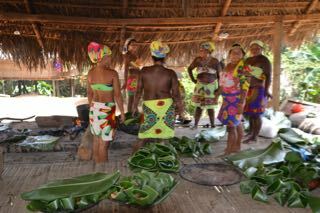 So they decided to just be Embera Indians and make a living out of it. 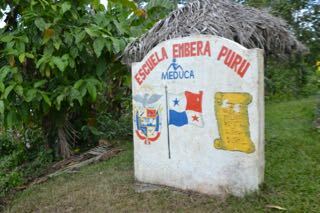 They have no subvention from the government except the schooling. 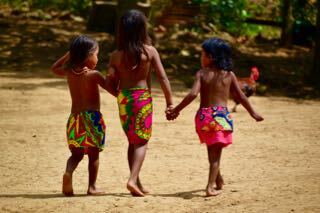 There are 2 teachers that come every week to school the Embera childrens. 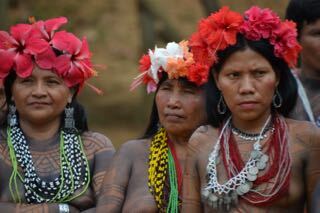 The rest of their living comes from us the tourists and the profit from what they do: bracelets, baskets, jewellery, wooden statues, etc…. 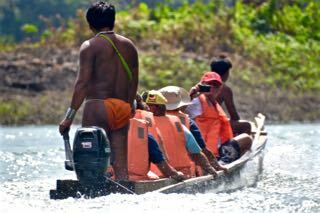 Therefore they can afford these big motors on their wooden boats. 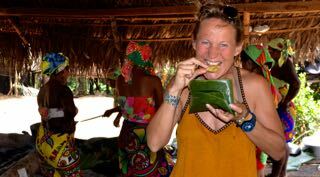 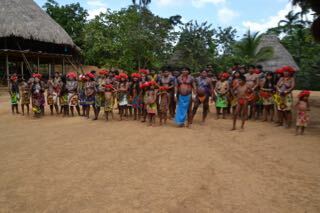 2 days per week they open and welcome tourists to visit their village for a whole day. 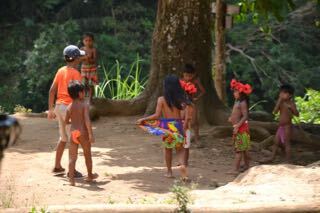 At first you might think a bit akward to “visit” the Indians like animals in a zoo, however they have made the choice to make a living of it without any interest from the government, nor any other tour operators. 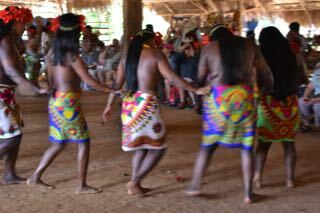 This did change our mind and we really enjoyed the day. 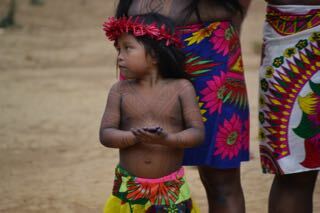 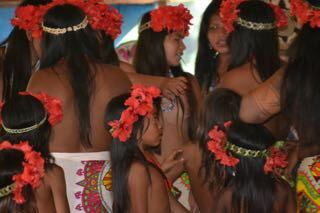 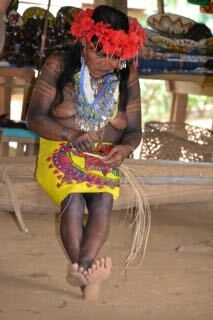 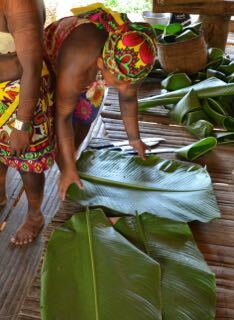 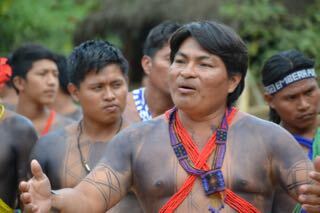 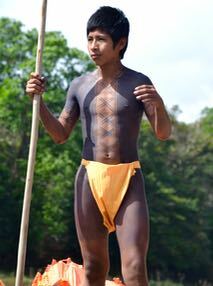 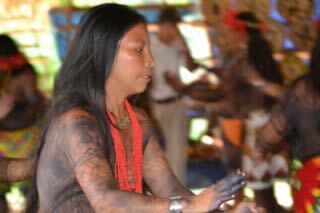 The Embera Indians showed to be friendly, curious and open-minded. 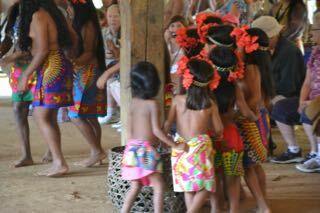 …and some even dared to play with the tourists kids! 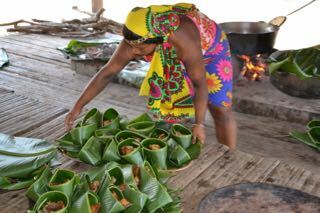 We were then welcomed to have lunch in their lunch room, in the next hut one floor above. 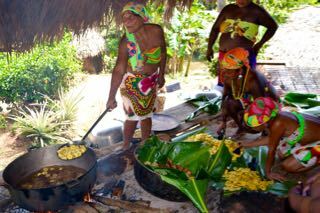 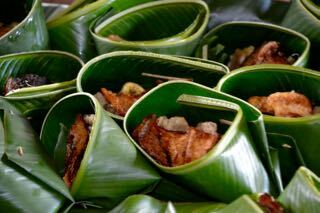 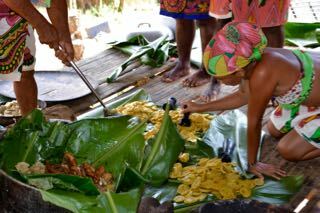 The meal was cooked over open fire and we were served fish and plantates (look like bananas, but can be eaten only cooked). 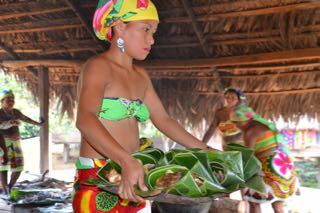 The fish was grilled over the open fire and the plantates were boiled in oil and then smashed flat. 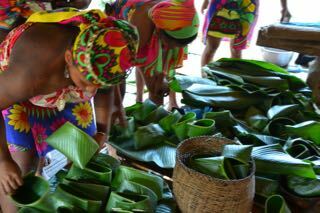 With the huge leaves they made our plates. 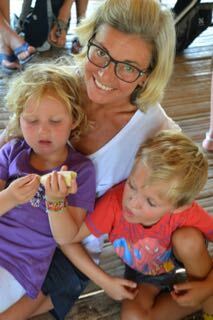 The kids too like it and preferred to sit with Nilla and Janne. 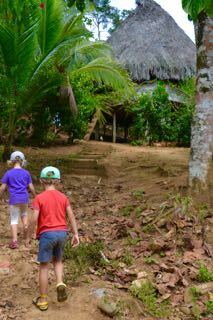 After lunch we took a walk through the village and among all the houses. 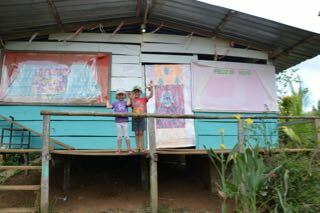 At the top of the village we discovered the school, however now closed for the summer holidays. 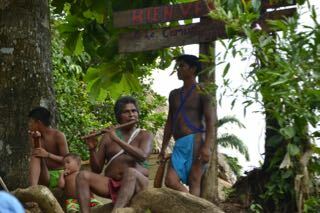 On the way down we had a personal chat with Fernando, the village’s musician. 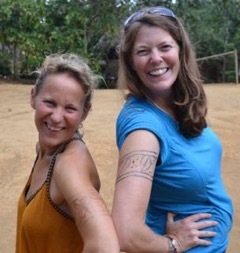 And yes we also had to have our tattoos done! 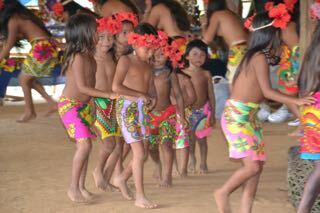 The kids are inspired too to join the dancing so that they learn early the rituals of their village. 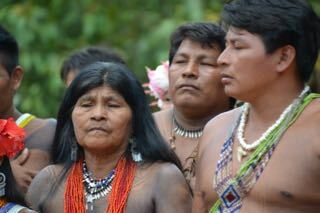 By the end of the day, Entro thanked all of us to have joined them for the day and we thanked them to let us share their rituals. 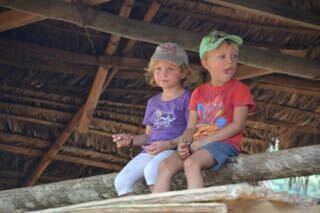 These 2 found a perfekt spot to look over the village. 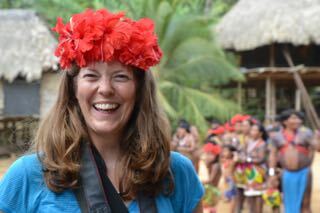 And Ellen got a present from an Emberan woman!